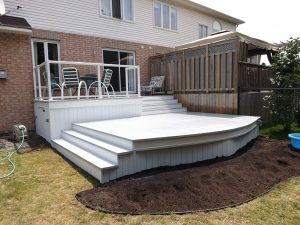 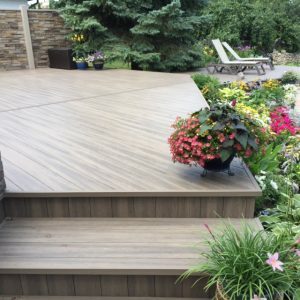 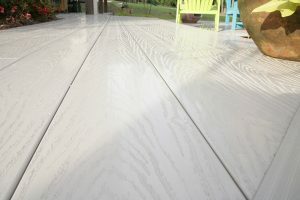 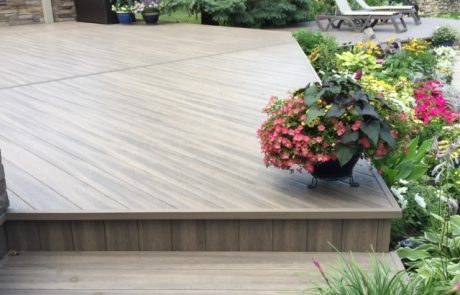 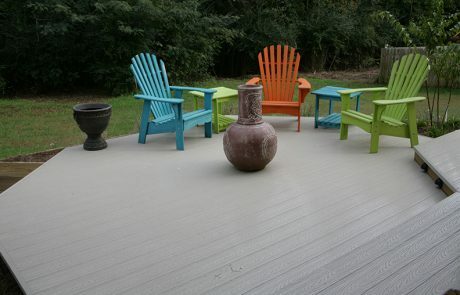 A Gorilla Deck G3 makes a beautiful addition to any home, offering an attractive, low-maintenance deck that would make any homeowner proud, but the beauty of a Gorilla Deck G3 isn’t just what’s on top. 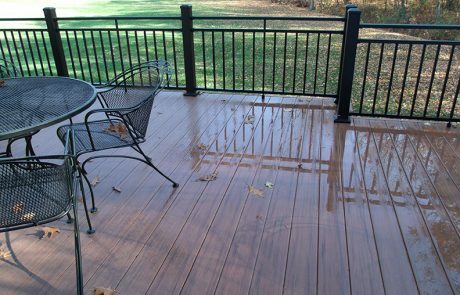 The beauty also extends below its surface… thanks to Gorilla Deck G3’s revolutionary water-shedding technology. 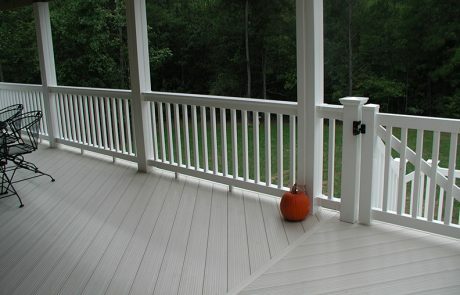 The heart of the Gorilla Deck G3 system is its patented (Patent No. 6,324,796) interlocking design. This innovative system creates a water-shedding surface that prevents water from traveling below. 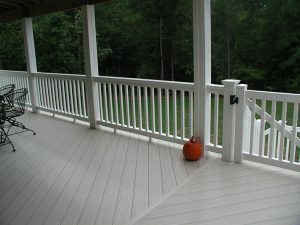 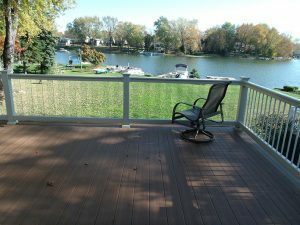 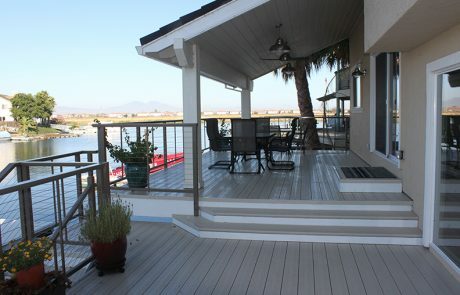 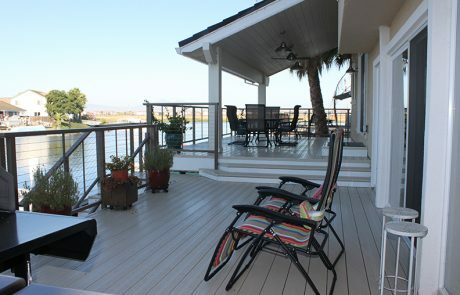 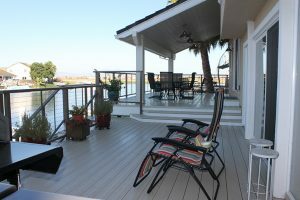 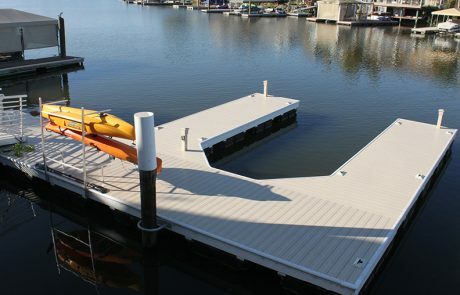 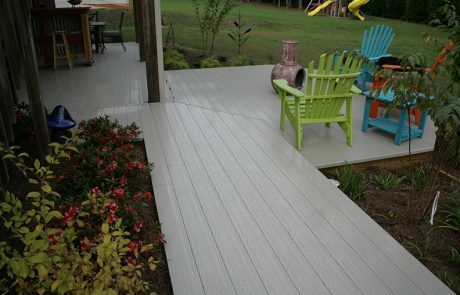 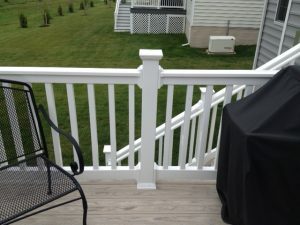 Unlike other decking systems, Gorilla Deck G3 channels water to the sides of the deck, not through it. 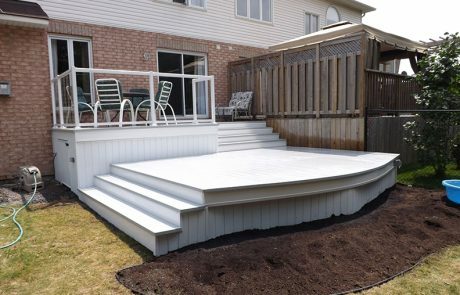 This unique water-shedding design helps keep the space below the deck dry, even on rainy days. 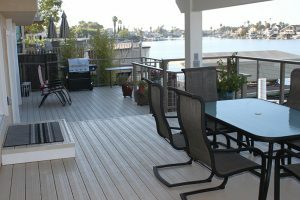 Whether the homeowner wants to use it for storage or an additional entertainment area, the space below Gorilla Deck G3 is as useable as the space above it. 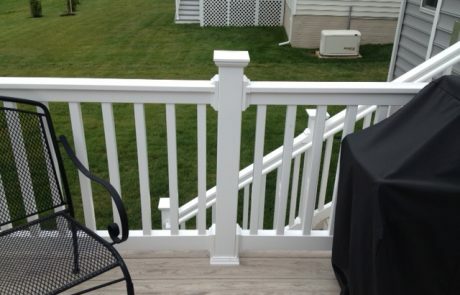 It’s like having two decks in one. 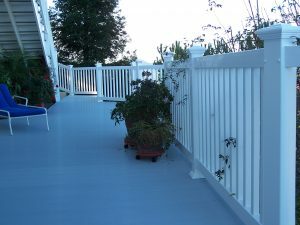 The Gorilla Deck G3 is not intended for roofing applications. 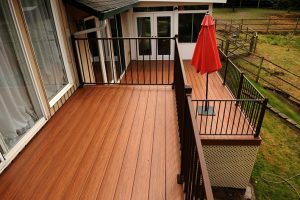 In addition to helping keep the below-deck space dry, Gorilla Deck G3’s unique interlocking design also provides added strength. 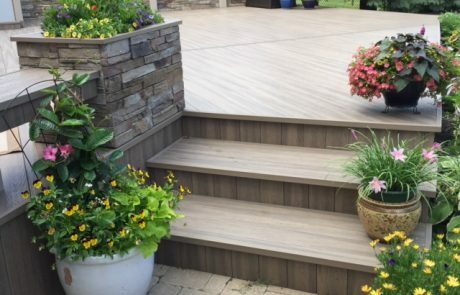 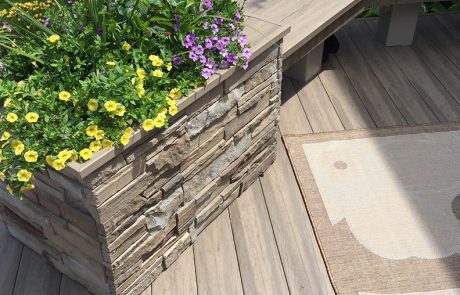 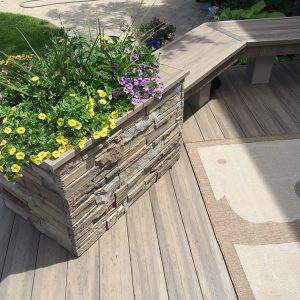 While traditional deck designs rely on the strength of each individual plank, Gorilla Deck G3’s interlocking design reinforces the surface by locking all individual components into a single unit. 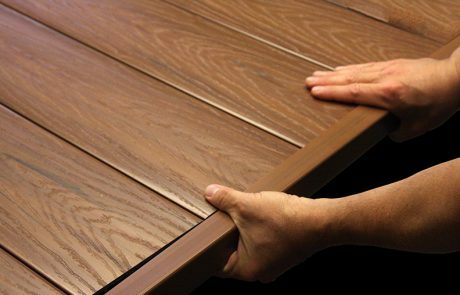 The result is a deck that’s so strong, it’s tough enough to take it. 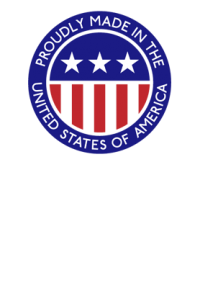 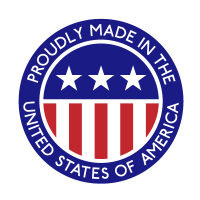 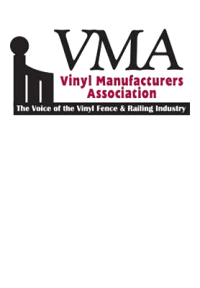 Homeland Vinyl Products, Inc. is one of the largest producers of vinyl extrusions in the industry. 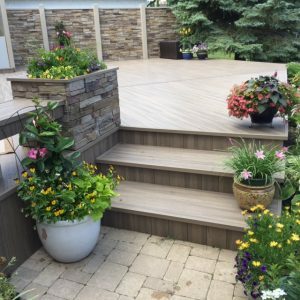 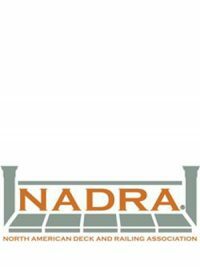 We believe going green and great products can go hand in hand. 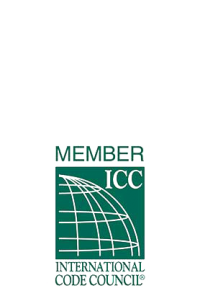 While we engineer our profiles to maximize performance and value, we also keep in mind that we must do our part to help preserve the environment. 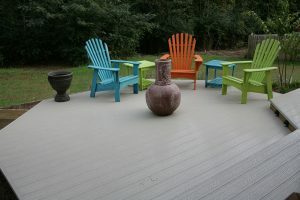 That is why we capture our vinyl waste and recycle it into specific substrates, such as what is used in Gorilla Deck G3. 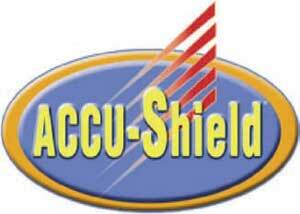 We shield our Gorilla Deck G3 with our extreme finish, ACCU-Shield . 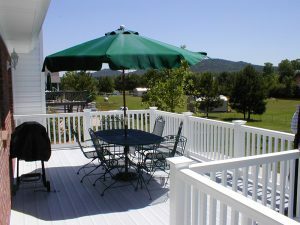 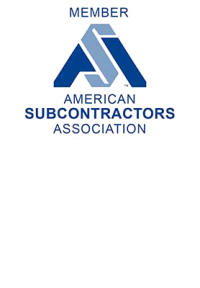 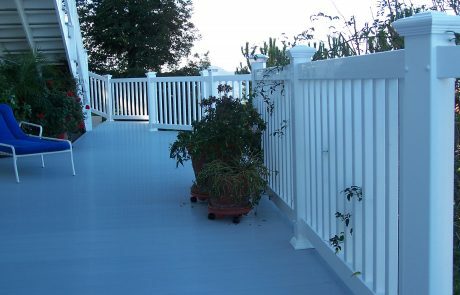 ACCUShield is an advanced acrylic PVC blend specifically designed to significantly reduce the damaging effects of the sun. 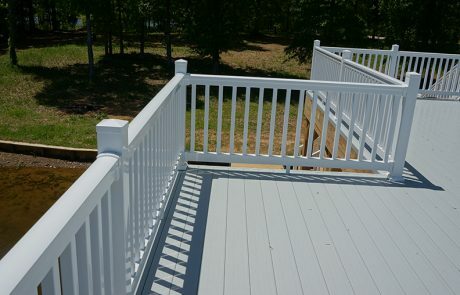 This is particularly important in areas with ultraviolet exposure in hot, low humidity climates. 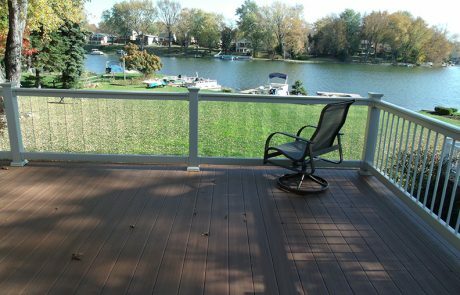 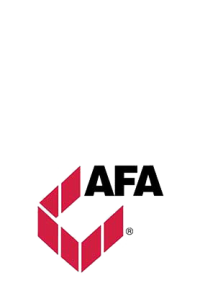 ACCU-Shield could make it the perfect deck for any project in areas that experience these conditions, and if ACCU-Shield can stand up to those extremes, just imagine how it can protect your Gorilla Deck G3 in less challenging climates. 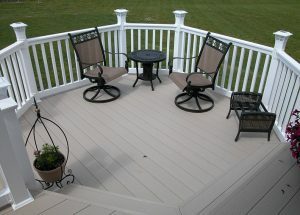 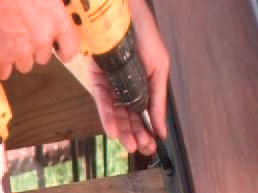 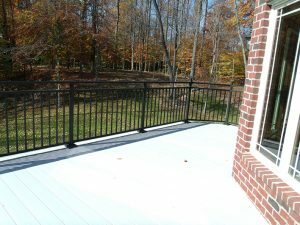 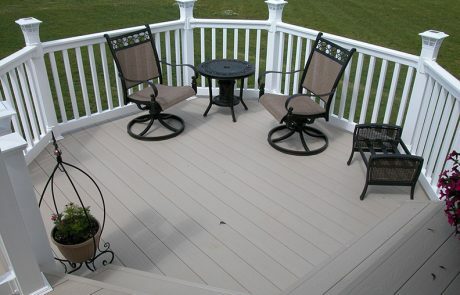 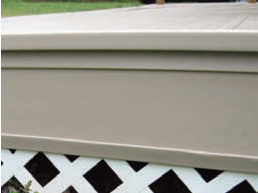 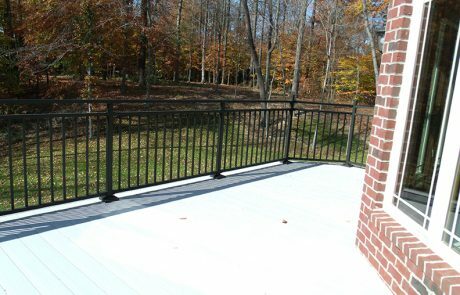 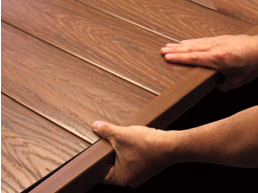 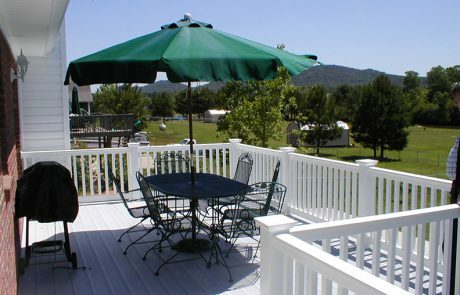 Simply put, there is no better protection for vinyl decking under the sun than ACCU-Shield. 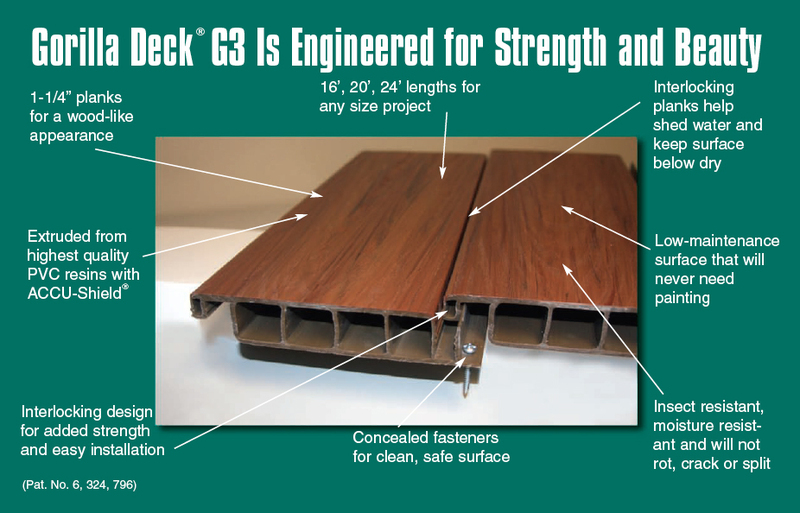 Gorilla Deck G3’s low profile plank design (1-1/4”) makes it ideal for retrofitting existing wood decks. 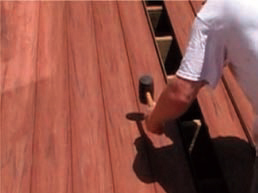 Each plank measures six inches wide – similar to wood – and comes in lengths of 16, 20 and 24 feet. Its low profile and unique interlocking design make Gorilla Deck G3 one of the easiest and fastest decks on the market to install. 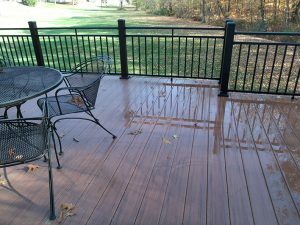 Homeland’s Gorilla Deck G3 will never rot, split, or decay, and is impervious to insects and moisture. 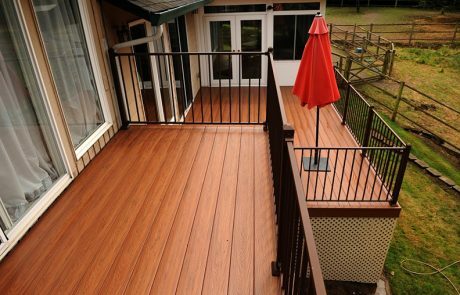 Every Gorilla Deck G3 is covered by one of the toughest warranties in the industry – a lifetime, transferable limited warranty* – making it the right choice for any homeowner.